The Insurance Act 2015, the most important change in insurance law since 1906 comes into force on 12 August 2016 and will require insurance brokers, their customers and insurers to adopt different operational processes for managing commercial insurance. Its aim is to encourage professionalism in all parties involved in commercial insurance. 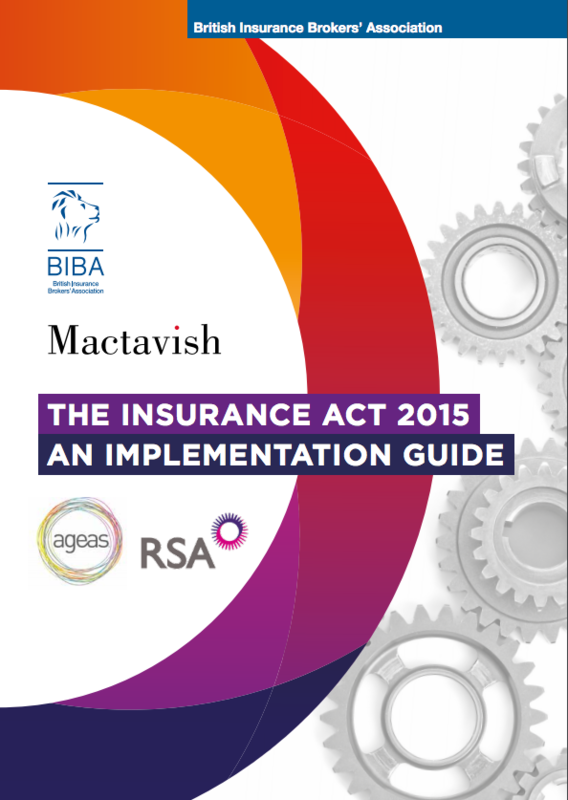 Recognising the impact of the new legislation BIBA, in conjunction with leading experts on insurance governance and Insurance Act compliance, Mactavish, has created a definitive implementation guide for members to help them operate under the Act. Sponsored by Ageas and RSA, the guide launched on 11 May at the BIBA Conference in Manchester, examines some of the key principles of the Act including the concepts of ‘Fair Presentation’ and ‘Reasonable Search’. It also reviews the effects of the changes in respect of the application of warranties and conditions as well as ‘contracting out’; outlining the considerations and challenges relating to each. Practically, the guide also suggests implementation measures that can be taken by brokers, customers and insurers to achieve Act compliance. This Implementation Guide is a follow-up to last year’s Introduction to the Insurance Act and comes with two shortened, handy versions; one for use by brokers and another to clearly set our their customers’ new obligations under the Act.